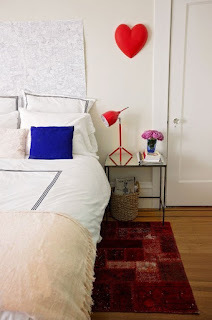 Bet you didn't know that you had rules to live by when it comes to decorating your apartment, but Apartment Therapy begs to differ with their "10 Commandments". First of all you should definitely decorate, even if you won't be there for long and even if it's in small, easily removed ways. Otherwise, your space will never feel like home and you can feel depressed every time you open the door. Spend your money on items that have a lot of versatility, so you can use them in your next apartment, whatever that may look like. A couch that can switch from left to right handed, tables that have additional leaves or double as storage are all great choices. Lighting is often horrible in rentals, especially older ones, don't feel like you're stuck with what's there. Even if you can't swap out the overhead lights, you can fill your space with lots of great floor and table lamps. Replace the hardware on the drawers and cabinets in the bathroom and kitchen for a complete make-over. Just keep the original knobs and pulls in a safe place and put them back when you move out. Window coverings are usually abysmal in rentals. So make sure to cover what's there with new curtains (IKEA is a great place to find cheap ones) or roller blinds. If you can paint, go for it, but if you can't, use temporary measures, like removable wallpaper or wall decals, to make a big (non-permanent) impression. Rugs can cover an ugly floor, a stained carpet, and just generally bring color and pattern to whatever room they reside in. Invest in area rugs you love because you can take them with you wherever you go. Display art, even if you can't hang it on the walls, by leaning it against walls or using removable 3M strips to attach it to the walls. From print it at home sayings to original works, there's something for every budget and every taste out there. Finally, focus on the great stuff about renting, like you can spend your money on new furniture rather than emergency repairs. If something breaks in your rental, you can call maintenance and get it fixed for free. Ready to find a great new apartment? Give Austin Apartment Specialists a call today at 512-241-1111! 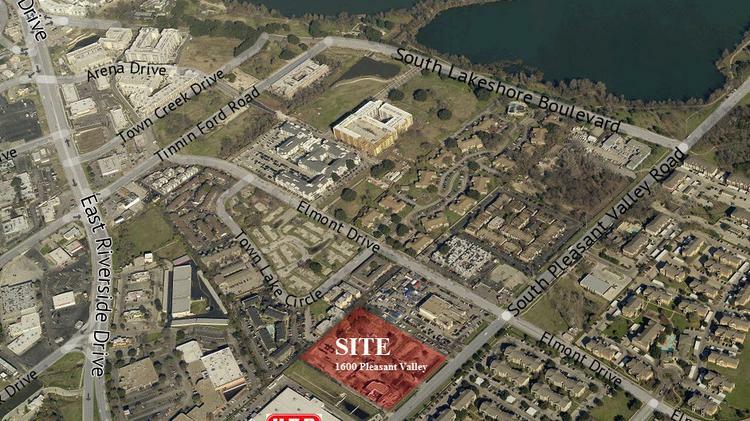 A 5.6 acre site on Pleasant Valley just north of Riverside has been purchased by Presidium Group, the Austin Business Journal reports. The site currently has a few tenants, including an auto repair shop, a flea market, and a hookah lounge. At some point, the parcel had several sports-oriented businesses, as evidenced by the batting cages, miniature golf course, and remnants of a sports bar that remain at the site. The company plans to put apartments on the land and they plan to do it soon. Presidium has also bought two other properties in the area recently, a burned down apartment complex near Wickersham Lane and East Oltorf, and two lots at 2714 and 2730 East Cesar Chavez Street. 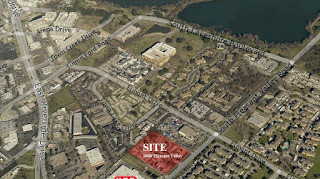 The company plans to redevelop the apartment complex, but no plans have been announced for the other lots. The East Riverside corridor is a rapidly expanding area, with hundreds of new upscale apartments already opened and retail on the way. Single family development has also been growing, as in two nearby Milestone Communities. The area is popular for its proximity to downtown, as well as the new boardwalk that connects trails on the south side of Lady Bird Lake east and west of I-35. Ready to call the Riverside area home? 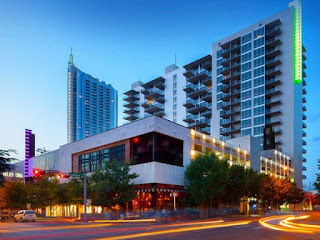 Give Austin Apartment Specialists South Austin a call today at (512) 912-8000 for the latest vacancies and move-in specials at all the best #apartments in the area! Austin's rental rates can cause a bit of sticker shock, especially to longtime residents or those moving from other cities in Texas. 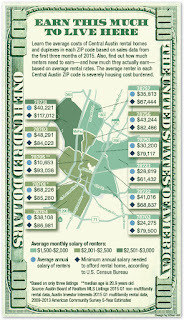 But how much do you actually need to earn to afford a median-priced #apartment in Austin? CultureMap reports on Zillow's analysis. Zillow uses $15 an hour as a minimum wage, based on the fact that Seattle has set a minimum wage of $15 per hour for the city. However, Texas' minimum wage is only $7.25, so their analysis is based on someone making over twice minimum wage here. 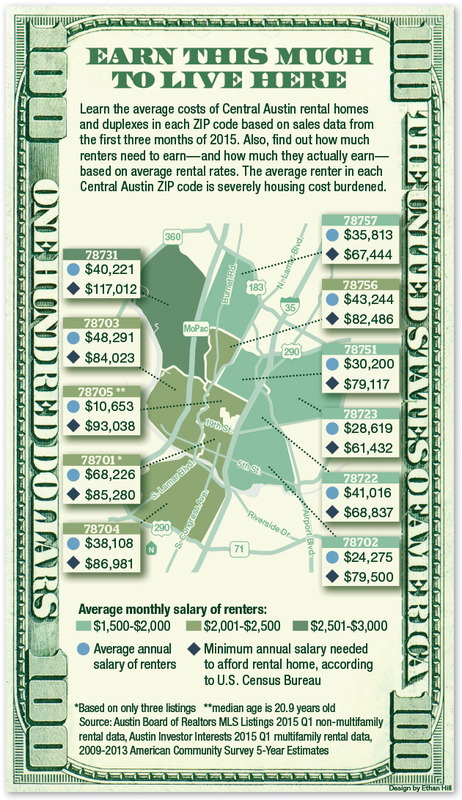 Rent for a median-priced apartment in Austin is $1,686 per month. This means that in a household with two wage earners, both people need to make at least $16.86 per hour to afford it. For a single earner, you need to make $33.72 per hour. For a household to not exceed spending 30 percent of their income on rent, the annual household income needs to be at least $67,440. Other Texas cities are a bit more affordable. Two earners need to make $15.13 an hour to afford rent in Houston and $14.65 in Dallas. The most affordable places to rent for dual-income households are Detroit ($11.21), Pittsburgh ($11.24), St. Louis ($11.37), Cleveland ($11.61), and Indianapolis ($11.99). The highest rent was in San Jose, California, where two people have to each make $32.87 an hour to pay for the median rent, which is $3,287 a month. Don't be discouraged by the news from Zillow, Austin Apartment Specialists knows up-to-the-minute rental rates and specials at all the hottest #Austin apartments, plus how much your income needs to be to qualify. Give us a call at 512-241-1111 for help! Is your #apartment fantastic, but your bathroom is less than stellar? Check out Apartment Therapy's suggestions for jazzing up a rental bathroom. Replacing your light fixtures is easier than you think, and cheaper. Check out IKEA for a lot of unique, affordable choices. Just hold onto your old light fixtures so you can put them back when you move. A replacement toilet seat will only cost a few bucks and will make your bathroom feel new. If you're allowed to, painting the walls a cheery color or just a glossy white can go a long way towards making it feel more luxurious. 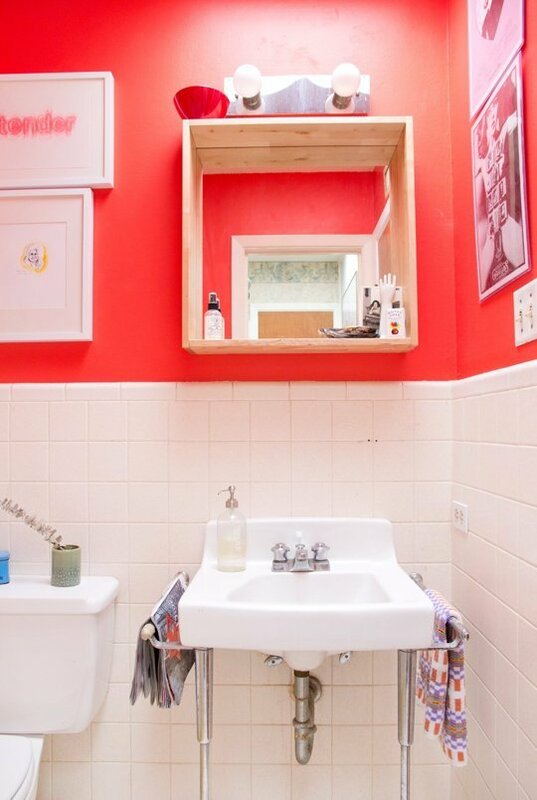 Similarly, if your landlord allows it, painting the vanity can also make the room look like a million bucks instantly. Even if you can't paint your vanity, changing out the knobs and pulls can really make things look up-to-date. Just hold onto your old knobs to replace them when you move out and you can take your replacements to your next home! you can use molding with peel and stick mounting tape to make the mirror you have look special. Do a deep clean on your grout to get rid of the ick and re-caulk to banish moldy caulk for a fresh, clean start! Finally, new towels, bathmats, and art can really make a place look great and won't change the room in a permanent way at all! Ready to find an #apartment with your dream bathroom? Give Austin Apartment Specialists a call today at 512-241-1111.